North Walsham’s mayor’s car boot stall is just the ticket! 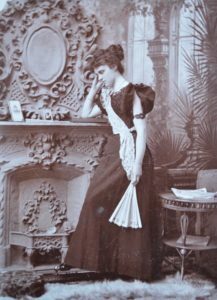 You might think being a mayor is just about wearing a chain and chairing council meetings, but think again. 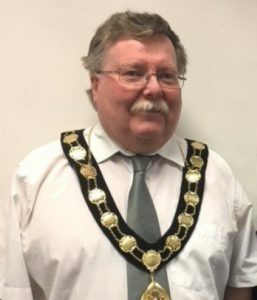 North Walsham Mayor Barry Hester is proving to be an action man having chosen the Friends as his civic charity this year. North Walsham Mayor Barry Hester who is supporting the Friends during his civic year. 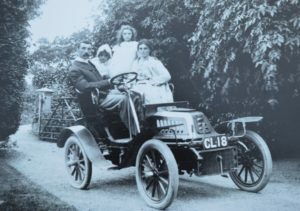 Picture courtesy North Walsham Town Council.He will be up at 7am on Sunday morning (July 15th) to help man a tombola stall for us at the car boot sale in the town market place, running from nine until noon. A collection at his civic service has already netted more than £350 for the Friends, and we are grateful for all the events that will boost that figure this year. Thanks Barry and if people are out and about on Sunday morning do drop into the sale and buy a tombola ticket. 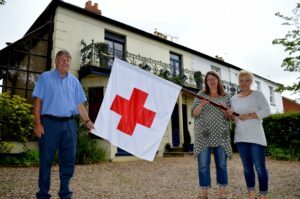 A flag has returned “home” to a former First World War hospital which nursed injured solders in the heart of a Norfolk market town. 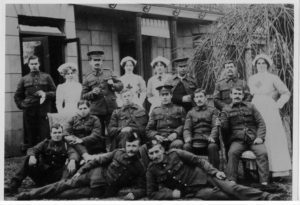 The Red Cross flag once flew over Wellingtonia in Mundesley Road, North Walsham where staff and volunteers cared for Great War heroes. 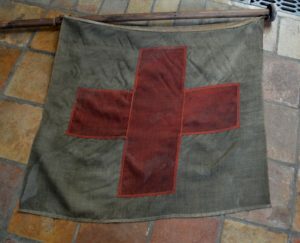 Now faded original flags have been replaced with replicas which will be displayed at the current hospital, and the parish church, as reminders of the town’s nursing heritage. The church’s two flags will be dedicated at the town civic service this weekend (June 17) – and the hospital’s will take pride of place in the day room, where the Friends are funding an upcoming refurbishment. 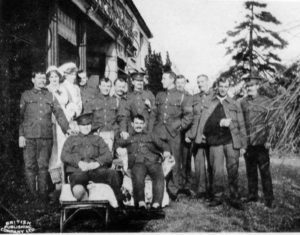 North Walsham had two Red Cross auxiliary hospitals which nursed injured troops. 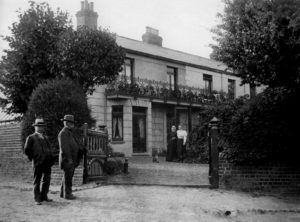 The other, Lower House, was also on the Mundesley Road nearer the town centre at what is now Greenway Close. The old flags were stored in the parish church, where vicar The Rev Paul Cubitt teamed up with the Friends to seek funding for replicas. The church’s two will go in the war memorial chapel which honours the 99 men who served their country but did not return home.